Le Bateau-Mouche is one of the main tourist attractions in Old Montreal. Inaugurated during Montreal's 350th anniversary, it is now an inevitable activity for families and couples alike. Le Bateau-Mouche offers an exclusive cruising experience: it is the only fully panoramic cruise ship in the Old Port! Day cruise, dinner cruise or special events; we offer a broad range of packages for all budgets and tastes! During the Loto-Québec Fireworks, from the end of June to the beginning of August, you can also enjoy beautiful pyrotechnic shows directly from our boat. This experience, combined to an exquisite dinner prepared by famous "la Brigade Volante" and chef Benoit Hogue, is one of the most spectacular attractions tourists can enjoy in Old Montreal. When is the boat in activity? 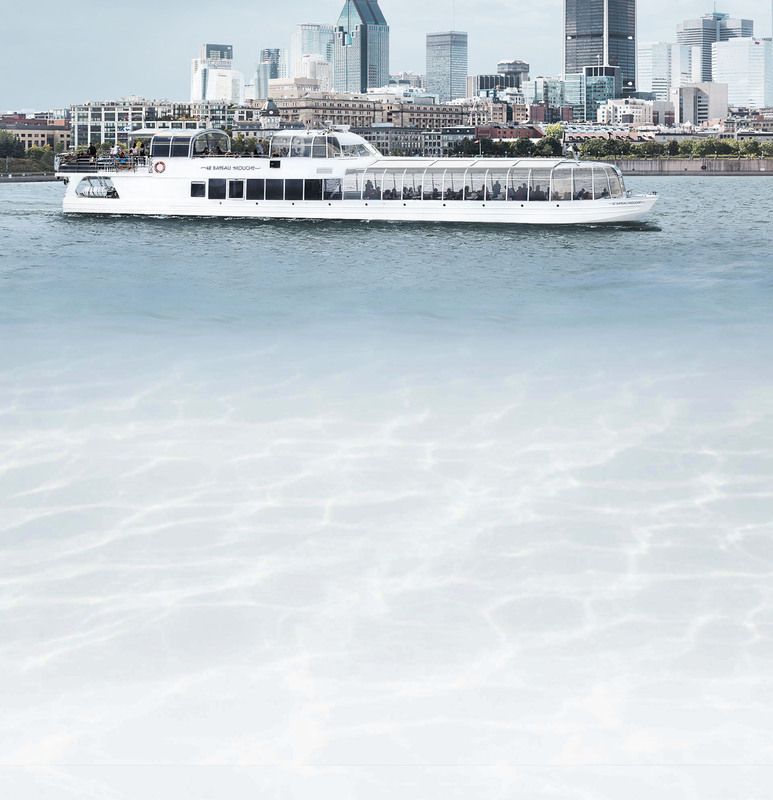 Le Bateau-Mouche cruises the Saint Lawrence river from mid-May to mid-October. The exact dates are decided a few days in advance based on the weather. Do you accept booking for "special events"? Of course! Le Bateau-Mouche can host weddings, receptions and many other events. This service is mostly offered for groups of 20 or more. To receive more information about this type of bookings, please contact our sales team: we will be glad to hear about your project! What are the surrounding attractions? Old Montreal and the Old Port itself are great touristic attractions on a sunny day! Stroll around to discover beautiful green spaces, a romantic panorama and some breathtaking European-style architecture.. After your cruise on Le Bateau-Mouche, you can also visit the Montreal Science Centre, rent a pedalboat or attend one of many events that take place in the surroundings. More than one million tourists have set foot on our boat since its construction. Follow them and succumb to the charm of a memorable cruise on the Saint Lawrence River!